Today, the new AMD Phenom II unlock guide is published. 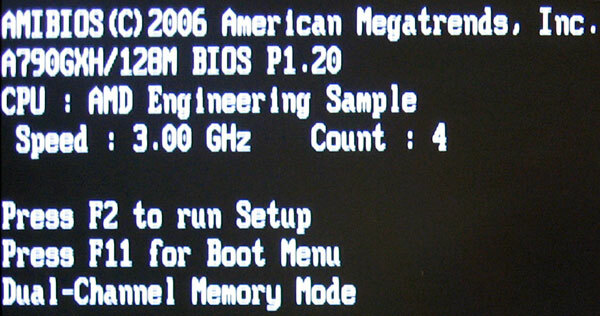 the Vcore and the multiplier during a test setup. If you've some time, you can try it with your AMD 710 CPU and write your results. I've just one AMD Phenom II 710er CPU where it was possible to unlock the Engineering Sample. So the multiplier can be unlocked, now there's just the question, if it's also possible with other processors and/or motherboards. It also works with the X2 550. I never heard that it also works with the X3 8650 and I can't believe that. The X3 8650 has only 3 cores. So you can't unlock anything. It must be a bug. It only works with the X2 550 and the X3 710/720 BE! Maybe you can try it with a motherboard with the SB710 again. If its realy possible it will work!